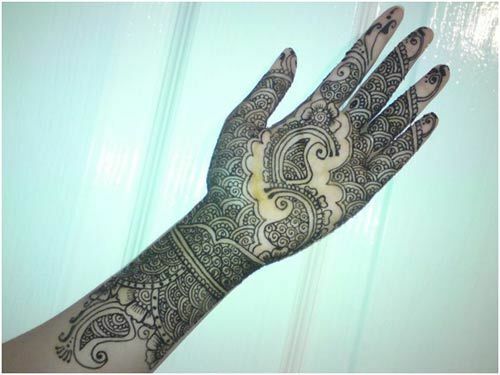 Mehendi designs vary based on occasion, age and preferences. Some are very elaborate while some are very simple. Some of these even have bangles in the Mehendi design itself. 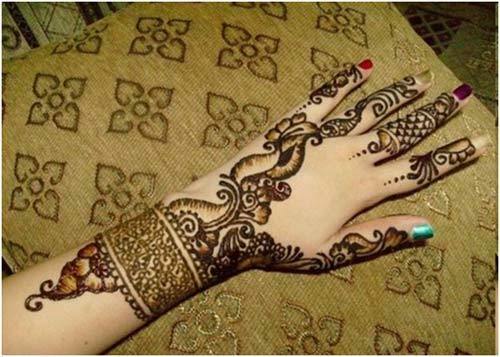 Bangle Mehendi designs are the mehendi designs which have the design of bangle or a bracelet in them. Indians love bangles and we love mehendi too. So it’s a no brainer that we love it when these two come together. So if you guys are bored with the normal mehendi designs, take a look at what we have picked up for you! 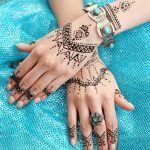 Some lovely bangle style mehndi designs. 1. 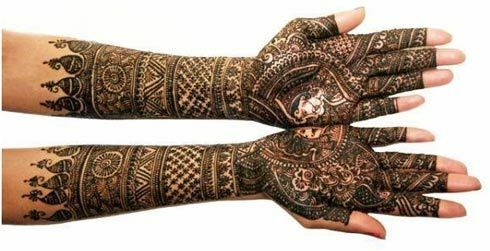 This bangle design mehndi for hands will surely catch your attention. The beautiful and colourful design has glitters used for fillings. The pink, blue, green and silver glitters are great for any occasion and for those who want their wrists to be colourful and glittery. Mehendi and glitter always make for an awesome combination. 2. This one is not for those who like simple designs. This one is a very pretty style with lots of detailing and shading. Florals and shades are very common in this design. This gives the effect of a large bangle on the hand. These kind of designs are superb and have a really unique style. 3. 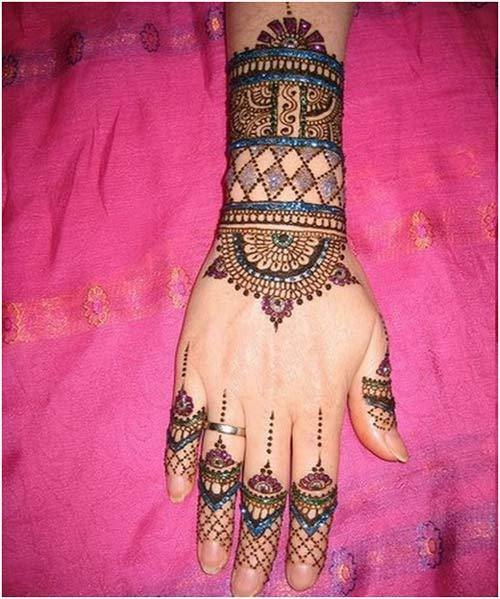 This bangle mehndi style is beautiful with weavy patterns on the inner wrist. The fingers and the palm look beautiful with intricate details. I love the way it gives a twist to the regular bangle mehendi designs. The floral patterns make it a very good choice for any occasion. 4. This one is a traditional mehndi with a lot of detailed work. The different shapes and widths of these bangle designs add a unique touch. This is a great option for the brides because it is elegant as well as unique. 5. 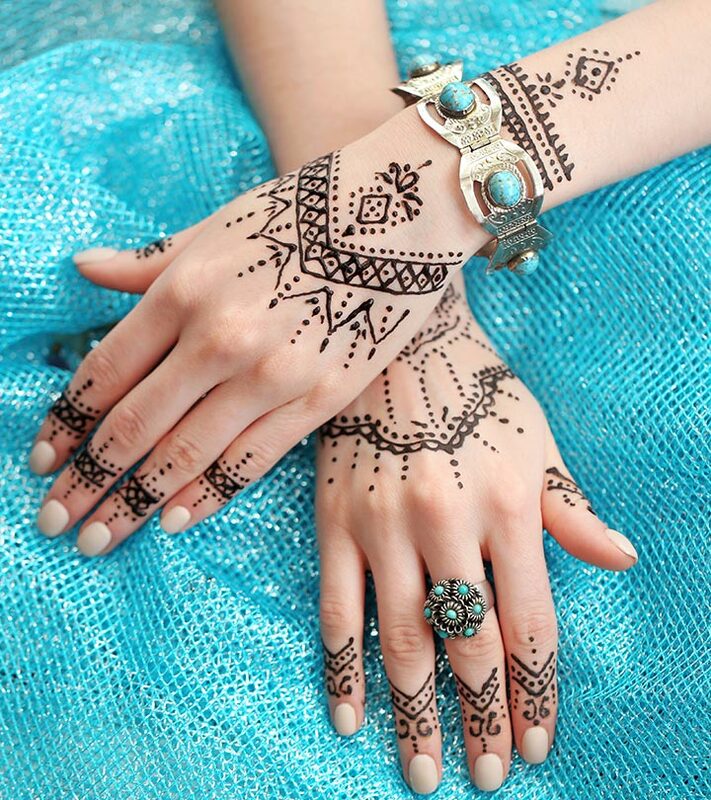 This beautiful design features a lot of mini designs and details on the palm and on the wrist area as well. A small bangle design is done at the wrist giving it much needed distinctness. 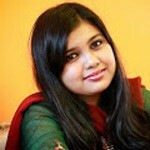 The designs are very modern and will suit modern brides very well. 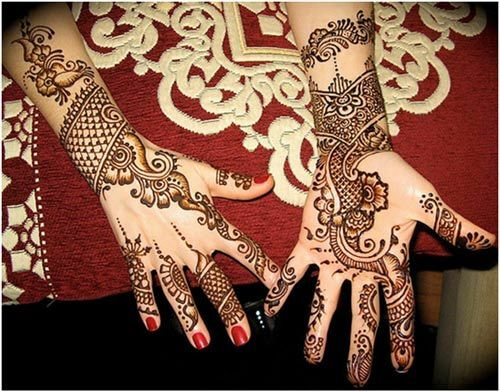 Also, the use of Black mehndi makes it even more beautiful. 6. This is a very unique design featuring a new style at the wrist. 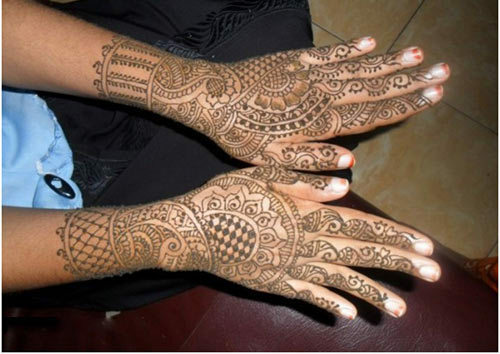 The mehndi design does not have a lot of details and does not look too cluttered like the previous ones. 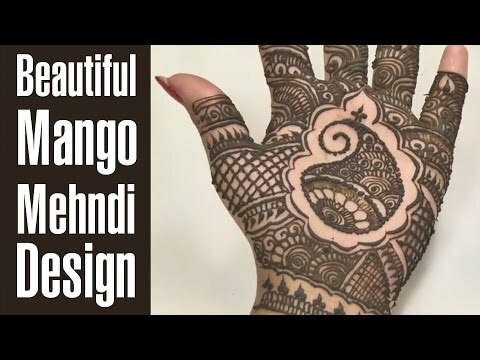 There is good amount of shading and normal mehendi is used for this. 7. 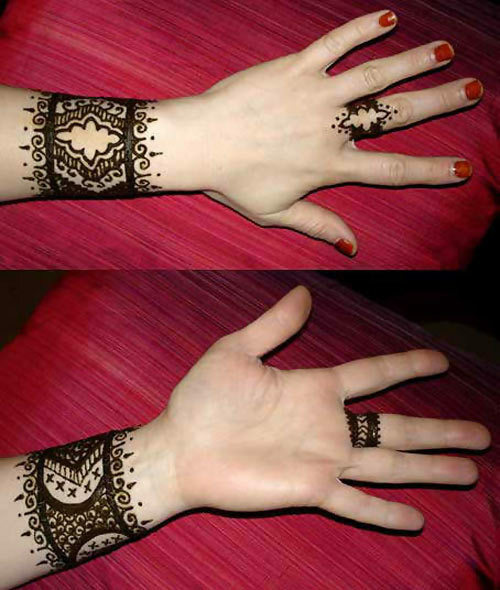 This design only highlights the wrists and uses deep black mehendi. The design has Arabic influences and looks like it has proper bangles. This is a fuss free design and is fun to do on to the hands. Those who want to have simple designs will love this one. Can be done on any occasion and by anyone. 8. 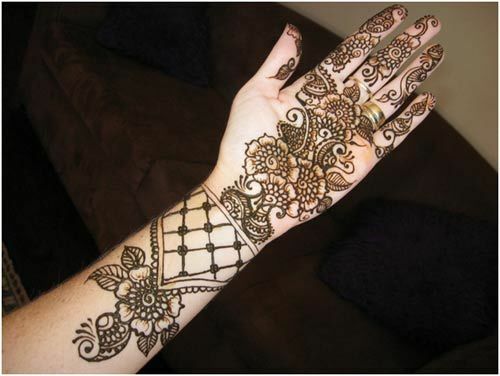 This design also looks very pretty and covers the whole hand including the wrist area. The design is different for both hands, so you can try any of them. Also these kinds of designs look good for any occasion and would suit brides too.